After watching Battlestar Galactica and some of Battlestar Galactica TOS I decided I wanted to build a Viper which would bridge the gap between the Mk I and the Mk II without making major changes to a Mk I. The single most noticeable difference between the two ships was the presence of reaction control thrusters. I chose Lt. Sheba's Viper to begin the experimental modifications. The success or failure of the additions would weigh heavily in any future modifications to the Mk I. The build for this was pretty much straight out of the box. No stand has been built as the Viper will be part of a launch bay diorama which is under construction. Outside of the RCS additions I scribed the panel lines and drilled out the guns and made barrels with small lengths of aluminum tubing. 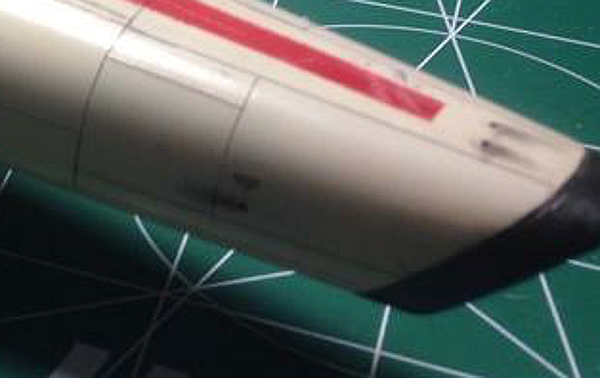 Additionally I include some stencils from a 1/48 fighter jet (the Viper is 1/35th scale, more or less) for warnings and notices at various places on the ship. 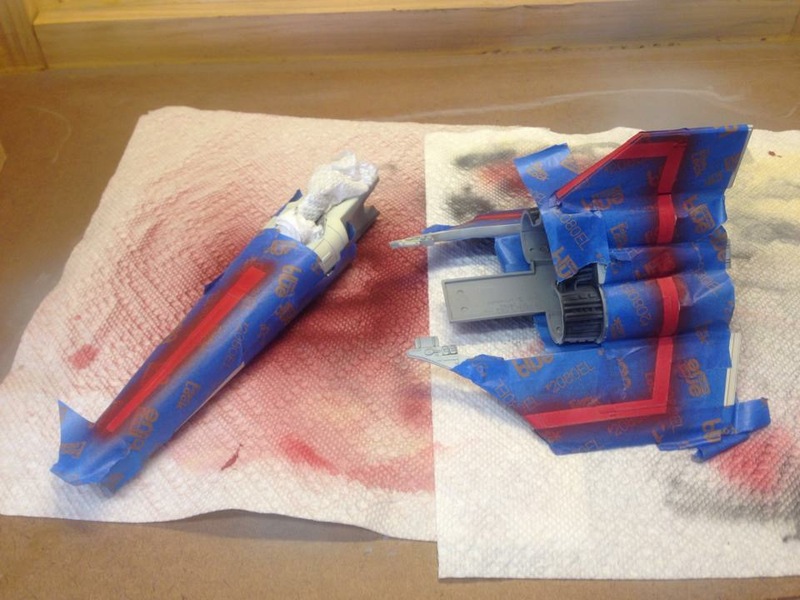 Everything was primered and the panel lines and engine bits were shaded (note the hangar deck work box) prior to applying the base coats. This was a very enjoyable build and it allowed me to experiment with a couple of finishing techniques I hadn't tried before. I'll be building at least one more for the hangar bay diorama including lighting and some other features. *I'll probably redo the paintbooth soon as I would like it just a little wider. The booth as it stands is perfect for acrylics and can be used with enamels though the ventalation would have to be improved. It utilizes an air conditioning filter backed by a standard box fan to keep things clean and nice when spraying. When I rebuild I'll publish a construction article.